Arghh, mateys! It’s the third annual Family Pyrate Day in Algiers Point, a family friendly event celebrating pirate culture in New Orleans! FREE TO THE PUBLIC! 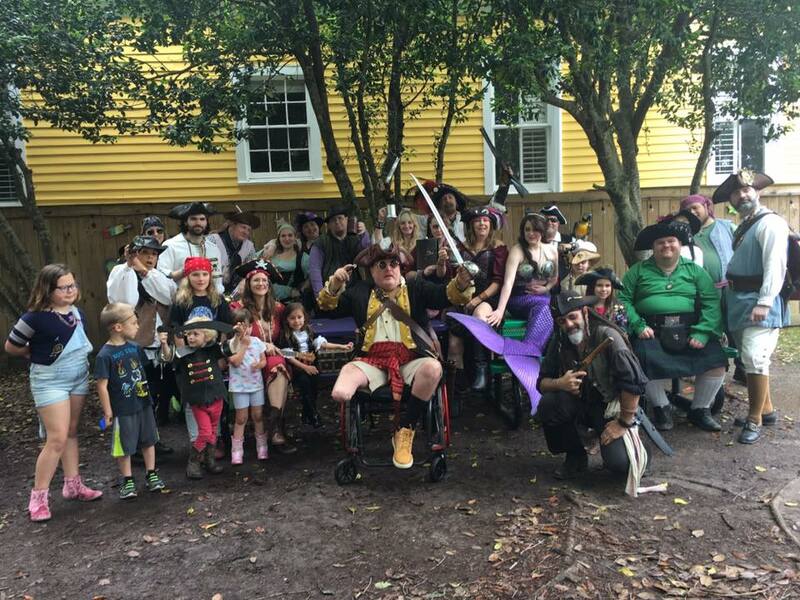 Join Confetti Kids, Confetti Park and our mates of NOLA Pyrate Week and One Stone for a swashbuckling good time at Confetti Park (451 Pelican). There will be storytellers, musical performances, pyrate goods by Red Paw Leather & Raven Moon Creations, games, demonstrations, a magic show, and crafting. Hubbell Library also has special activities planned for Pyrate Day. Bring canned food for the Algiers Point Lil Free Pantry. Buy yer vittles and taste some rum at One Stone and enjoy hotdogs and snoballs from Kona Ice. 11 a.m. – Pirates gather at Confetti Park! There will be face painting, crafts, food, music and magic demonstrations and pirate games throughout the day!